It isn’t often that I post on our blog about our spiritual tradition, even though it is at the very heart of who I am, and all that I do. I live and breathe it, and there is nothing more important in my life than being in tune with God and my guru; honoring them as best I can. For those who don’t know, our guru, Paramahansa Yogananda, put his heart and soul into the organization he created, which is Self-Realization Fellowship based in Los Angeles. In addition to his prolific library of publications, he built temples and beautiful retreats (most of which are open to the public) to attract what he called “truth seeking souls” from all over the world, from all faiths. When he passed in 1952, he had two foremost living disciples whom he left in charge of the duties. 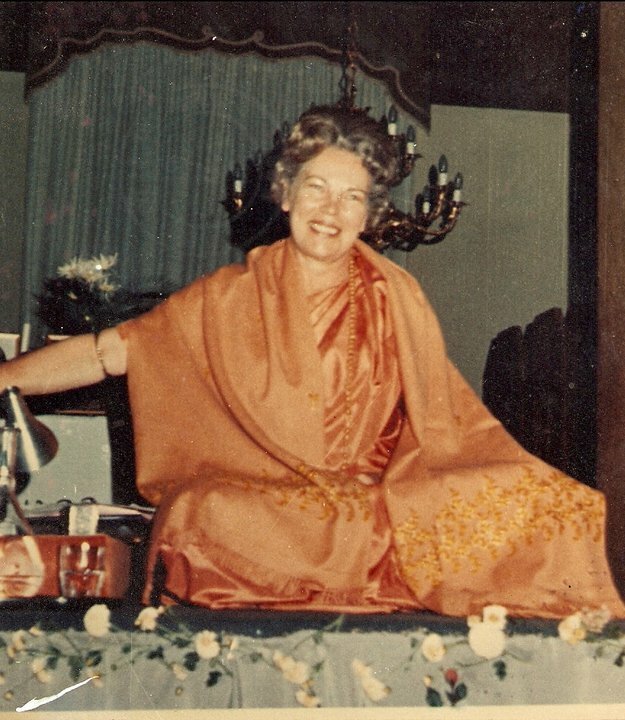 The first was known as Rajarsi Janakananda (he was a businessman from Kansas City formerly known as James Lynn), but after his passing in 1955 the duties were entrusted to Daya Mata (formerly known as Faye Wright who moved to the ashram at age 17). About Yogananda’s mahasamadhi (passing), she said “I made a vow that I would never permit him to be only a dream to me.” He remained so alive in her, and she loyally headed the organization for 55 years, passing away this Tuesday evening, November 30th, at age 96. I wept when receiving the news. She was 96, and I’d known she probably didn’t have long, but she was a direct disciple of my guru and she embodied so much of his radiant love. It was so hard to say goodbye. Her physical presence will be missed, but I keep reminding myself of how much I have been given because of her. After a long ’bout of crying, I couldn’t stop smiling; even laughing… all I could think about was her joy at being free from her body, and finally reuniting with her guru. When I told the kids about her passing, they were quite upset. She is someone whose recorded talks (a favorite clip: “Inspiration for Spiritualizing Family Life”) and writings have filled, inspired and uplifted all of our hearts over the years. But I explained to them about how sad I was, and then how happy I became and why. They ended up smiling, too. 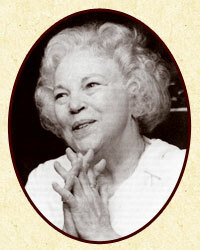 Her name, Daya Mata, means Mother of Compassion, and boy did she live up to her name. I recall when I first became exposed to her talks, I thought “She cannot possibly be for real. There is far too much great love oozing out of just one person… it must be an act!” Of course, our ego minds often do this when we are encountered with such overpowering and divine energy. We question it, and some will go so far as to completely reject it. I was transfixed by it, and it didn’t take long to realize her deep sincerity, which was undeniable. I was overtaken by the total, unconditional love she showered upon everyone, but most of all her intense love affair with the Divine. I longed for just a spark of what she had; to love God as deeply, sincerely, and passionately as she did. Before our guru passed, he told Daya Mata, “When I am gone, only love can take my place. Be so drunk with the love of God that you will know nothing but God; give that love to all.” She didn’t live for herself, but for the objective of continuing the work her guru started. She thought of others, and what she could do to help each soul. That was her sole mission. She was truly saturated in divine love, with an unwavering love and devotion for her guru. She was the most perfect example for all of us on this path. For those unfamiliar with Self-Realization Fellowship, it doesn’t matter what religion a person defines themselves as. They are all welcome, and all can practice Kriya Yoga. Our guru had a deep love, reverence and respect for all the world’s great religions. He saw nothing but unity among them. Daya Mata carried that ideal forth in all her duties and correspondence. In my practices, I strive to embody at least one tenth of the loyalty, sincere compassion and devotion she did. If I can do that, I will have lived a highly successful life. Because she was female and born here in the West, she has always given me hope for myself and the possibility of being like her. My only regret after her passing was that I never met her in person, and never wrote her a letter to explain just how big of an impact she made on my life. Through silence, I have been attempting to communicate that with her. In the process I’ve encountered some major insights about myself, and my own life. Without her passing, I may have never stumbled upon such realizations. It’s as if she is writing me back from the other side. There is an infinitely caring, maternal presence every time I focus upon her. One of the many insights I received had to do with my personal role as “mother” in this lifetime. Since the age of ten I have longed with such intensity to be a mother, but I never fully understood why. Now, as a mother who has been entrusted with the lives of five souls, I know beyond all doubt that my true longing is to embody “Divine Mother”. To step aside and be a channel of that divine, maternal energy has always been my ultimate goal, and it has manifested in my role as “mother” in this lifetime. To realize this has placed an entirely different perspective on myself and my parenting role. Through sweet Daya Mata I have the greatest role model imaginable. She has sprinkled sweet flower petals onto my soul’s path as a mother, and as always, she inspires me to keep on keeping on. Prasad, being extremely devotional, has been asking to say some prayers and do a chant & meditation in honor of Daya Mata, so we’ll be doing something special this Saturday evening. Sky, being more cerebral, asked whether we could watch another talk of hers, so we’ll probably do that prior to anything else. Sharing this with my children means the world to me. Daya Mata is part of our family. I feel that these little words do not do Daya Mata justice, but they are all that I can offer publicly. In the silence, without words, she knows exactly how I feel and what her life has meant to me and our family. We reverently thank you, beloved Ma, for all that you have given our family. We will miss you, but smile knowing you are closer to us than ever, and are accomplishing even greater tasks in Guruji’s warm embrace. This entry was posted in Andrew Prasad, Realizations, Sky Bear, Spiritual, Transcendence, Yoga. Bookmark the permalink. Where is the Kaw River? Thanks a lot for sharing about our Beloved Sanghamata. She’s been spreading love, understanding and compassion all over the planet; and she will keep on doing it. . . . Your article is a precious witnessing either for all those on the SRF spiritual path like us, or those travelling on other paths of life; it shows how the Most Powerful Force in the universe is always at work for our benefit, the benefit of our loved ones, and all the people we meet.